Sorry for the naff blog title. It sounds like something a bingo caller would shout out, but that is the cheery mood I find myself in today. I have just been reminded by my husband that this is my sixth year as a wedding celebrant on the Costa del Sol, making me one of the longest serving wedding celebrants here, an achievement I am very proud of. I feel really honoured to have married and renewed vows for over 150 couples, many of whom I am still in touch with. My role has taught me so much about life and about people and I love working with couples to create their perfect ceremonies. It is so incredible to meet a couple, hear their ideas, feed off of their enthusiasm and then to see the ceremony which I have helped create for them, come to life just in the way they wanted it to. A good friend asked me if I would ever get bored of doing this and I replied that it was impossible. Every couple is so different, with their own ideas and thoughts, that no two ceremonies are the same. I get so excited waiting to see the fascinating ideas that couples come up with. To name a few; a beautiful arras ceremony (Spanish coin ceremony) where 12 friends delivered the coins to the couple who placed them into the box, a gift exchange where the couple exchanged small, symbolic gifts to each other such as a paper clip – to hold everything together, an eraser to erase the bad times, etc. Genius! Then there was the couple who had a friend write and read a story about how they met and got engaged and had their ushers and bridesmaids dance down the aisle (yes, down the aisle) at the start of the ceremony! Such fun! I love that people are becoming braver and really taking ownership of their ceremonies and making them their own. That’s not to say that every couple needs to have some wacky or really original element to their ceremony, but that however they choose to be married, every aspect of the ceremony should be what they want to include and what they are happy with. You don’t have to write your own vows, but at least make sure the vows you are saying or that are being asked of you are vows that you agree with and like the sound of! Would you believe it that people still get married without having any idea of the vows they are going to say? That’s like buying a house and not knowing what it looked like until you moved in! I would see it as a big a deal as that! Well, the good news is, I know for a fact that none of my couples this summer will be as laissez-faire about their own ceremonies and many are already in the midst of their planning stages and working out what the special elements of their ceremonies are to be. How exciting! If you’d like to receive my colourful wedding e-brochure with lots more information about my services then fill out the form below and I’ll get right back to you. Natasha Johnson is one of the longest serving Wedding Celebrants on the Costa del Sol. 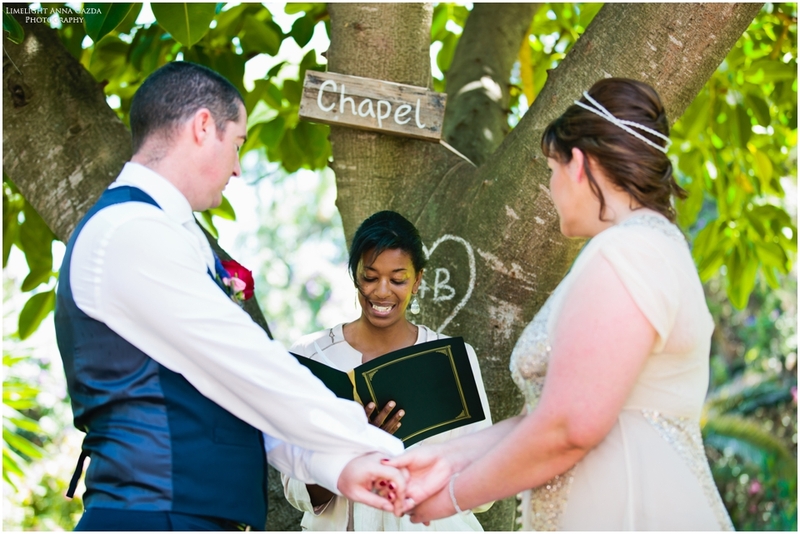 Now in her 11th year as a Wedding Celebrant, she has helped over 700 awesome couples, including VIPs and celebrities to celebrate their marriage in their own way, on their own terms - just they way they want to! And with her awesome team, they do nothing by spread love and ceremony magic up and down the Malaga province. Ceremonies outside of the Costa del Sol or of an excessive distance will incur travel and possibly accommodation costs. Homepage photo credits Mireia Cordomi, Anna Gazda and Owen Farrell. We are based in the Costa del Sol region of Spain. The main areas covered are Marbella, Puerto Banus, San Pedro and Estepona and inland areas such as Mijas, Antequera, the Ronda and Granada countryside. As well as, Tarifa and Vejer in Costa de la Luz and Salobreña and Almuñecar in the Costa Tropical.